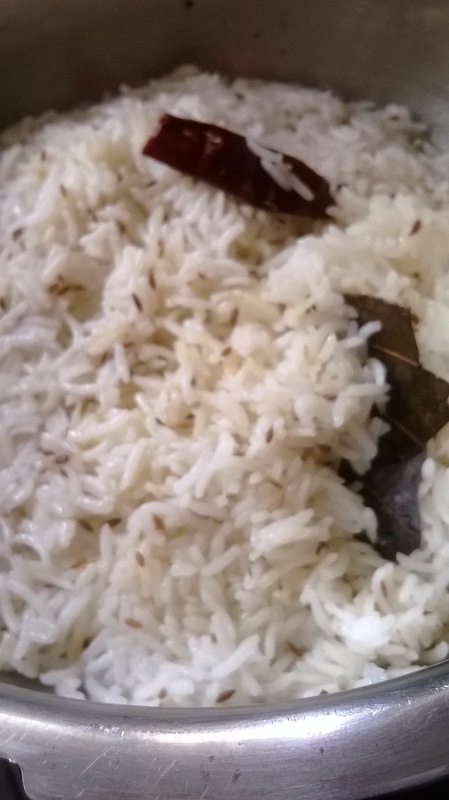 I wanted to prepare a rich and tasty vegetable biryani for my husband for a sunday lunch. This is how the biryani came up. 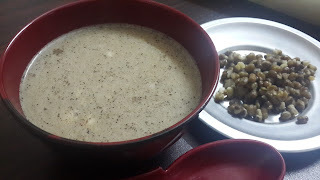 While you are in no mood to cook or dont have any stock of vegetables for a gravy...probably you can the try the below mentioned easy to cook gravy. 7. Mix them properly and add the capsicum to it. When the capsicum gets cooked ( 5-10 min), Capsicum curry is ready to serve. I never use to keep mushroom gravy for chapathis. But while in market i saw fresh pure mushrooms and was very much tempted to get them. This is how the below mentioned mushroom gravy was invented by me. 2.Trim the stem of mushrooms.. cut into two(if big) soak in hot salted water for ten minutes. 4.Add ginger garlic paste, salt n pepper. Fry for one more minute and keep aside. 6.Grind set 2 ingredients into a powder. 8.Heat oil. Add onion paste and fry till oil seperates. Do not make it brown. 9.Add the step 2 powder.Fry for two minutes. 10.Add kasuri methi and cream. Fry till it dries. 13.If u want a thick gravy add a cup of milk. If its too thick u can add some water. 14.Let it boil for five minutes. Serve hot. This is a crunchy gravy giving a rich taste of babycorns. 1.Cut Onion, Capsicum and Baby corn. Keep aside. 2.Heat Oil in a pan and add Capsicum, saute till it turns soft or for 3 min. 3.Cook the cut baby corn in 2 cups of water with salt and lemon juice for 2 to 3 min. Then drain the Water. 4.Heat Oil in a pan. Add boiled Baby corns and fry for 5 minutes in low flame. Keep this aside. 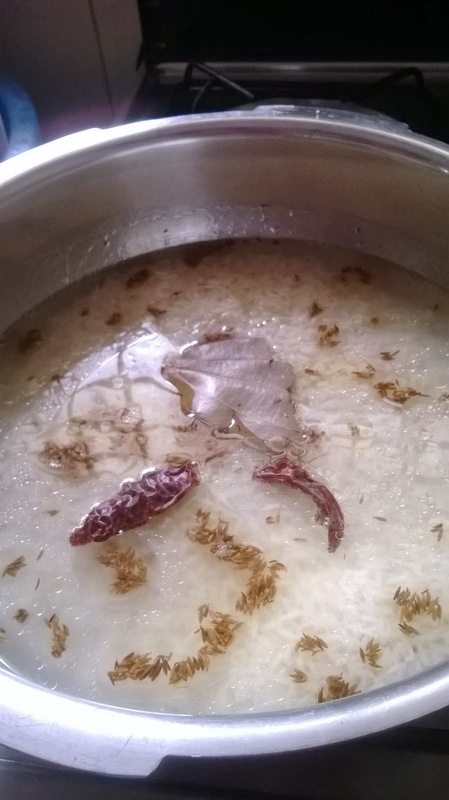 5.Fry Cinnamon, Cloves, Cardamom, Bay leaf, Coriander seeds, Red chili, Cumin seeds,Fennel seeds and Pepper corns without any Oil. Fry till it turns dark in color or for 30 sec in low flame. 6.Dry grind all the fried ingredients without Water. 7.Heat Oil in a pan. Add ground items, Onion, Ginger Garlic paste and fry till Onion turns into light brown in color. 8.Then add Tomato puree and Turmeric powder, fry till it becomes dark in color. 9.Add a cup of water, fried Baby corns and Capsicum, cook for 3 minutes. 10.Finally add Milk and cook till it turns dry. 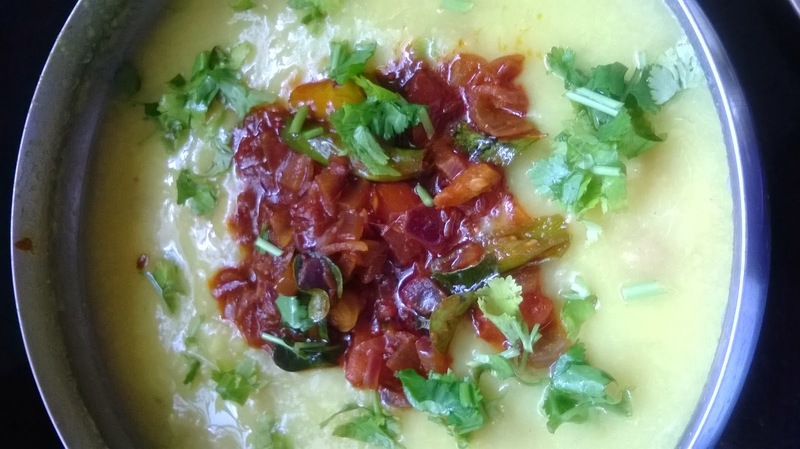 Here is a beautiful combination of jeera rice and dhal tadka. These both go on hands as the best combination. This is one of the favourite choice of food of my husband. Add the ghee in a pressure pan and allow the mustard seeds to splinker on. To this add all the above ingrediants.And allow it to fry for a minute. Add 1 and half cup of rice. Add 2 cups of water and 1 cup of coconut milk(optional). Add salt to taste. Cook on medium flame for 12-15 minutes. For a greater appeal you can once again fry cumin seeds in oil and pour it over the already garnished rice. The dhals should be soaked for 30 minutes. May be you can soak the channa dhal for more hours so that it well come more smashed while cooking. Splinker the mustard seeds in oil for a second. Add in all the above ingrediants except dhals and fry in for a minute. Add the dhals and allow it to boil for some 15 minutes in medium flame. The gravy will come thick as we have added channa dhal. Garnish with curry leaves and squeeze half a lime before serving. You can have pappads along with this rice and gravy. One evening i got very bored when my son fell asleep. Then i thought of keeping me occupied till he wakes up. Only then i tried this following dessert. This one called as Badam cake came out very well...and you know what..i was able to give a rich snack for my son when he woke up and he enjoyed showing a yummy yummy face. 1. Soak almonds in warm water and peel the skin. 2. Grind the almonds using milk to make paste. 3. To this paste add the sugar and 2 tsp ghee and heat this mixture in a heavy non-stick pan. 4. Keep adding the rest of the ghee, Keep stirring. 5. Once it reaches a layered consistency, pour it onto a greased plate, spread the mixture, allow it to cool and cut into desired shapes. Serve it after the dessert gets a little cold. My son is very fond of paneers..So i use to make him the following paneer recipe. Goes well with rotis or chapathis. Grind tomato and cashew nuts together and set aside. Heat butter in a kadai and fry the cubed paneer. When the paneer is golden brown remove it from the kadai and set aside. Add Cumin seeds to the heated butter. When the cumin seeds pop add the chopped onion and saute. When the onion browns add the G/G paste,tomato-cashew paste, salt,garam masala, chilly powder,coriander powder,turmeric powder and stir well adding water as necessary. cover and cook for 5 minutes and add cream, paneer and kasturi methi. Cook for another minute and serve.